You do not have to be rich to want to donate your car to charity. Perhaps you have an old car that you don’t want anymore and you would rather donate it to a charity than sell it to a dealership. Sometimes there is a greater value in donating a car because it can serve as a huge tax deduction on your income tax return. You just have to know the right way of going about it. Below are the top 5 tips that you should follow when donating your car to a charity or other person in need of one. Operational Use – Some charities will just sell a car that has been donated to them and then they will use the money for their charity. However, the charity that you’ll want to donate your car to is one that will use it for operational purposes. That way, your tax deduction amount can be calculated from the fair market value of the vehicle. Otherwise, if the charity were to sell the vehicle, the price they get for your car will be your tax deduction amount. Usually, this amount is less than the fair market value. Get a Receipt – You will need proof that you actually donated your car to a charity if you declare it as a deduction on your tax return. So, make sure the charity gives you a receipt for the donation. Then if you get audited, you can show the receipt to the IRS agent as proof of the donation. Independent Appraisal – If the fair market value of your car is more than $5,000, you should get an independent appraisal done on your vehicle. 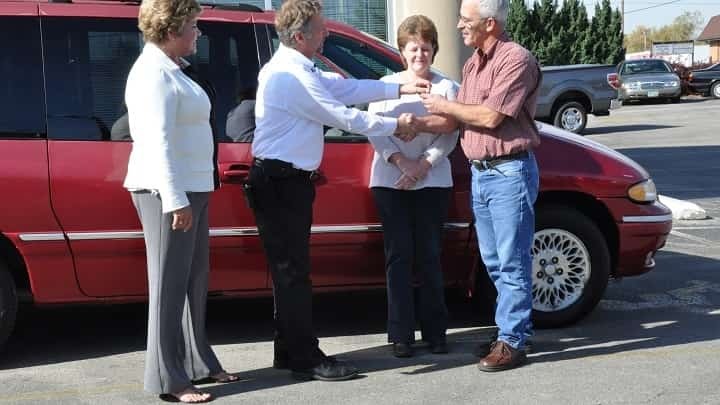 Once you get the appraisal, you’ll need the charity to provide you with a written acknowledgment which verifies the donation and the value of the vehicle. Tax Exempt Charity – When you donate a car to a charity, it must be a charity which the IRS has given tax exempt status to. Otherwise, if they are not tax exempt, then you won’t be able to declare your donation as a tax deduction. Just have the charity make you a copy of the “letter of determination” that they received from the IRS. This will prove the status. Donate Directly – Unless the car does not run, you should donate the car directly to the charity by driving it there. If you were to involve a third party for delivering the vehicle, they would have to be paid either by you or from the proceeds after the charity sells the car. Since car donations do not involve donating cash, they end up being audited frequently by the Internal Revenue Service. That is why it is important for you to keep all documentation on your donations and have them ready in case an audit does occur.